When I was tasked with the challenge of writing my favorite romantic movie review, I have to admit there were so many choices. However, the one romantic movie that impacted me the most emotionally would have to be, Charlie St. Cloud. This dramatic, romantic movie is a real emotional rollercoaster. This movie is a treasure trove of love! You will witness the love between siblings, a man and a woman, and a man and himself. 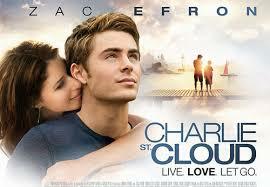 Read my Romantic Movie Review of Charlie St. Cloud and see why this romantic drama is a MUST WATCH! You genuinely fall in love with the main character, Charlie St. Cloud (Zac Efron). The movie begins by introducing you to Charlie and Sam (Charlie Tahan) and you feel an honest love connection between the two brothers. 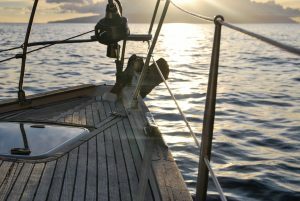 Charlie is a seasoned sailor who has recently received a sailing scholarship to Stanford. Sam is his younger brother. When Charlie’s mother, Claire (Kim Basinger) a nurse, has to pull a late shift, Charlie and Sam are in an automobile accident. As death is about to claim them both and Charlie promises to never leave Sam, Charlie is brought back to life by a paramedic, Florio Ferrente (Ray Liotta). Charlie’s life stops in these short few moments. Charlie gives up his scholarship and becomes the grounds manager of the local cemetery where Sam is buried. 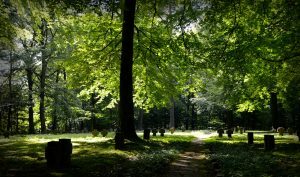 In this cemetery, Charlie can keep his promise to Sam that he will never leave him and they can connect for a few minutes each day at sunset. Tess leaves on a six-month solo sailing journey and disappears. The remainder of the movie leaves you in suspense. Is Tess dead or alive? Zac Efron does an exceptional job in this movie, pulling at your heartstrings and your emotions. The cinematography in this movie (Enrique Chediak) captures both the mood and beauty of this movie. Then you add the dramatic music by, Ralfe Kent, and you have the perfect love story that tugs at your heartstrings and keeps you in suspense until the end.  Catch these great posts by Witte’s World! I just wanted to let you know that I nominated you for the Mystery Blogger Award! Thank you so much for all that you do and all the inspiration and support you have given me. Have a great week! Keep your head up! Thank you so much Lana! I will complete the post for the award real soon! I appreciate you more than you know!!! I also loved this movie. Suspense, romance, and family what’s not to love.? You can’t help but fall in love with the characters.